Best multiplayer PS4 games – Playing together has shifted and changed much over the years in video games. So much so that now there’s a wide range of ways to experience competitive play. Sports games get routinely criticised, often by those not entirely enamored by the genre (or non-gaming fitness enthusiasts), for being effectively pointless. After all, why don’t you go outside and play real football? What’s stopping you from organizing your own Tour De France? So, it’s great when a games developer decides to make up its own sport that would certainly be horribly convoluted and deadly to attempt in real life, thus excusing you from that condescending line of questioning. Well, you could only hope so. Psyonix’s Rocket League is that sort of sports game and it kind of makes you wish it was a real sport too because quite frankly, it’s stupendous. Best Multiplayer PS4 Games: Rocket League is absolutely one of the biggest and most widely embraced online multiplayer games available. To think it started life as a PlayStation Plus freebie! Rocket League not only embraces the wonder of local multiplayer, it also keeps touch with modern gaming by feeding the need to show off your skills to complete strangers. A feat made all the more impressive by how deceptively complex it can be to learn. 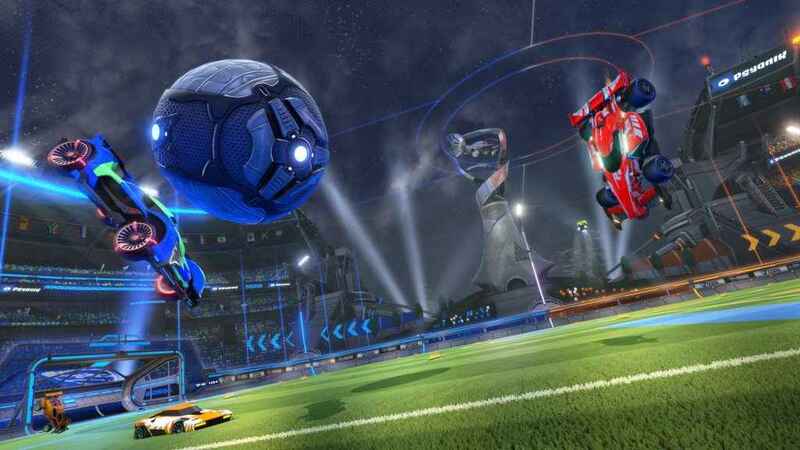 Seeing the variety of playstyles that have evolved over the past few years is remarkable, range from hard-hitting ground game to dizzying aerial ballet it’s clear Rocket League is a deeper experience than you might have expected. Now, I’m off to try driving a VW Golf into Wembley Stadium, see if I can pull off a backflip goal from the halfway line. Have you played GTA Online? There’s a good chance you have as it continues to make Rockstar enough money to buy a neighboring planet. Not to mention GTA V regularly sits in the sales top 10 nearly five years on. Best Multiplayer PS4 Games: GTA Online is proof if there ever was that a resoundingly robust suite of online multiplayer functionality can give a game legs for *years*. And why not? After all, GTA Online has a huge amount of variety to it. GTA Online can be a racer on land, sea, and air. It can be a social space to chat with friends. It can be a multiplayer shooter, and still, it has a sandbox that allows for so much more. 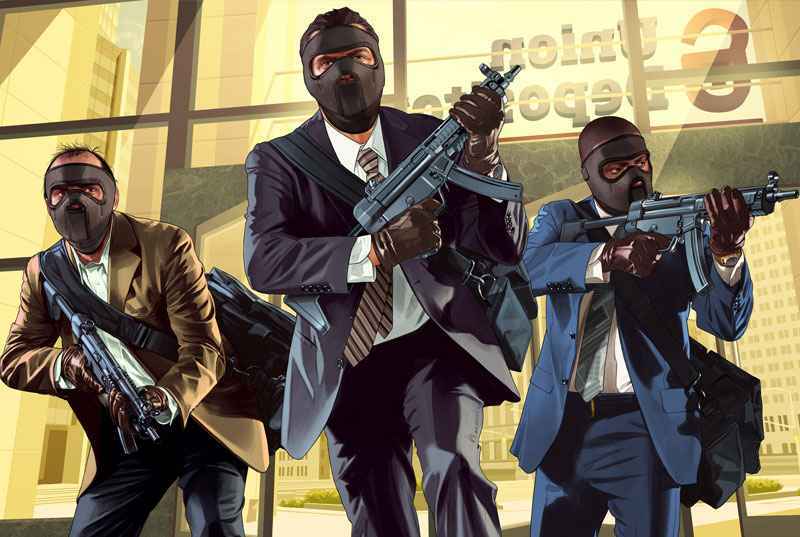 With years of free new modes and an actual mode creator, GTA Online’s ongoing success is simply down to offering more in one game than most. The hottest multiplayer flavor of 2018 is Battle Royale, and Fortnite Battle Royale is atop that ever-growing heap. It has reached phenomenon stage, and while that confuses those who don’t understand it, there’s plenty who have since indulged themselves in its peerless calibre. In base form, Fortnite Battle Royale drops up to 100 players onto an island with nothing more than a mining tool, and they must seek out weapons and eliminate each other until one remains, all the while a deadly storm is closing in, forcing all surviving players into smaller and smaller spaces. 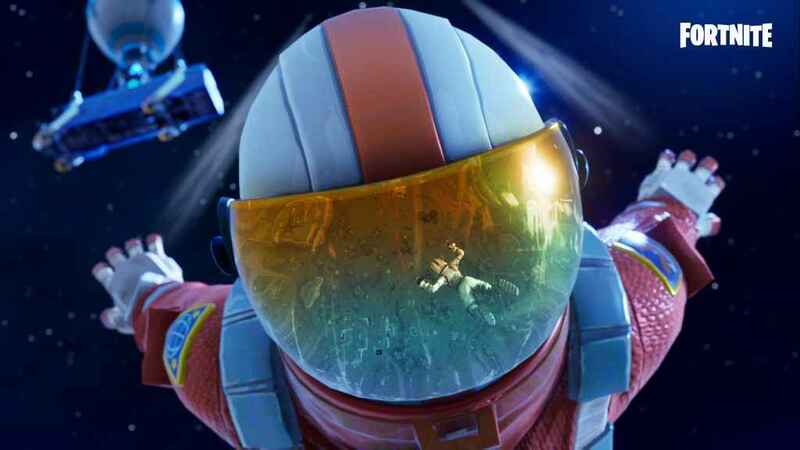 Best Multiplayer PS4 Games: Much like Rocket League before it, the mega-success of Fortnite Battle Royale was never preordained. The beauty is the random emergent nature of the way it all plays out. No two games are quite alike. You can survive just as long by being sneaky and passive as you can by shooting up everybody in sight. Throw in the crafting that adds a tactical defense not found in its rivals, and the fact that it costs exactly zero dollars, and it’s no wonder Fortnite Battle Royale is doing so well. Titanfall 2 is a fantastic shooter. it features a bright, inventive single-player campaign that deserves more eyes on it. Yet the multiplayer should not go unnoticed either. The multiplayer, fortunately, is also quite splendid. There’s a high level of accessibility to welcome players of different skill levels and provide fast, fluid mobility in the game’s parkour. Usually, matches are 5v5 or 6v6 with certain modes complemented by AI-controlled grunts and mechs to make games appear far busier (and provide some easy points for less skilled players). Best Multiplayer PS4 Games: Though you may not realize it, Titanfall 2 is a purer online multiplayer FPS than just about anything to come from EA and Activision in the last few years. 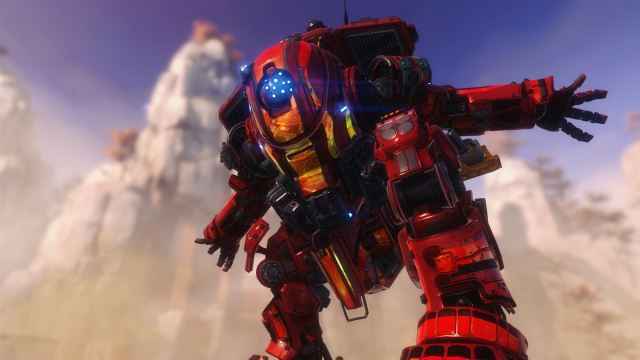 Oh, and you get to pilot Titans at points during a match; a hulking mech beast with enough firepower to win a shootout against Revolver Ocelot and Mo Salah. The maps, of course, make great use of the verticality and agility that Pilots need to thrive. Yet it’s balanced nicely with enough wide open areas for Titan battles to work effectively. It’s a testament to the design of each map that they can be played just as well with Pilots or Titans. It’s fair to say that Gang Beasts doesn’t do much by the book. Indeed, local multiplayer games are almost by design, supposed to be simplistic and obvious affairs that can be picked up by players and engaged without the need to learn complex game elements or mechanics. Gang Beasts is having none of that. Instead, it offers up a physics-based multiplayer brawler that boasts deceptive ingenuity and hearty, belly laughs in equal measure. Best Multiplayer PS4 Games: The floppy and haphazard design that is woven into every strand of Gang Beasts design marks it as a competitive multiplayer effort that is quite unlike any other. Gang Beasts thrives as a multiplayer hoot because of how creative it allows its cast of wobblesome fighters to be. The driving force behind the innovation in Gang Beasts battles is the physics system. It allows these gelatinous creatures to grapple onto anything and everything. As such, attempting to eliminate other beasts is never straightforward. In fact, it often ends up in rib-breaking bouts of hilarity. Mirth aplenty is often the result as your intended victim hangs on to some ledge, platform or even your own limbs, as you struggle to heft them over the edge for a quick elimination. 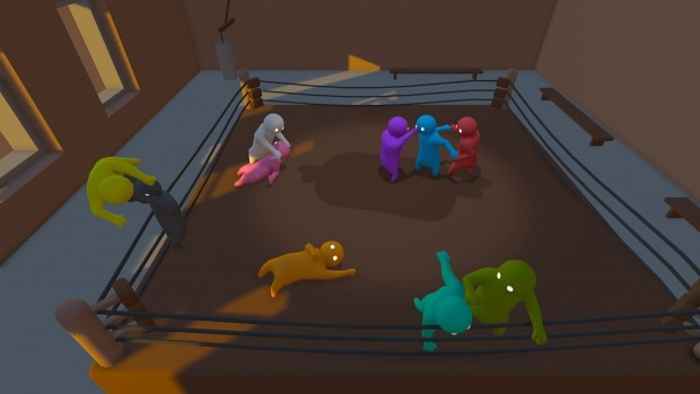 Gang Beasts may have all the poise and grace of a bar dust-up on a Friday night, but it remains hugely entertaining when played with friends all the same. Who’d have known Blizzard, the creators of Diablo and Warcraft, could have had such a massive impact on first-person shooters? 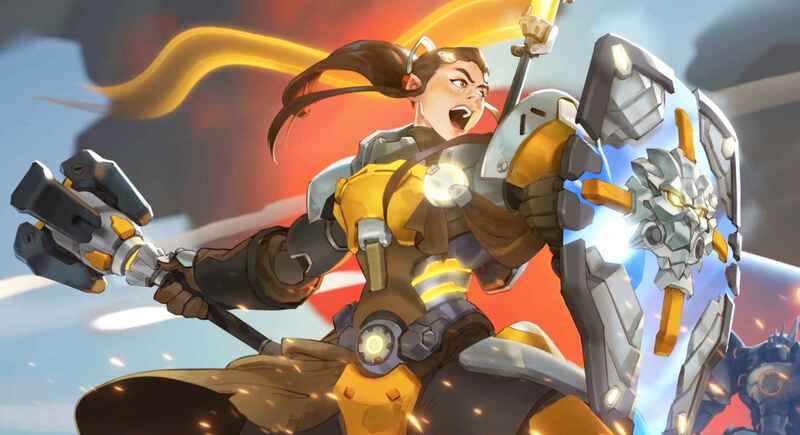 Overwatch is another smash hit from Blizzard, taking the hero aspect of the popular MOBA genre and applying it to a team-based shooter worked absolute wonders. There’s a class type for all play styles in Overwatch. A focus on teamwork and maximizing individual abilities is the order of the day here (well, at least when people play nice) and while there have been pretenders to the throne, the king still maintains its seat thanks to constant updates and a remarkable level of backstory for its colorful cast of characters. Overwatch has truly become a phenomenon. Offering an interesting alternative to the regular online shooters. It may not have started out well, but Rainbow Six: Siege is one of the biggest shooters around today. 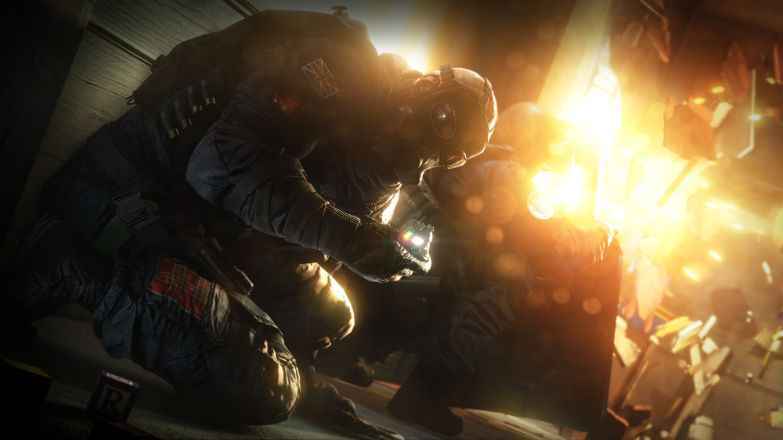 Ubisoft got off to a rocky start with Rainbow Six: Siege. Yet an impressive amount of post-game tweaking and content saw the 2015 tactical shooter become an esports juggernaut. Rainbow Six: Siege is the thinking person’s shooter. You can’t go in all guns blazing here as you either infiltrate as the S.W.A.T. style team or defend as the terrorists. You have to plan and strategize in order to conquer the opposition, and that requires communication and teamwork on a whole different level. If you fancy something a bit more cerebral in your shootybangs, Rainbow Six: Siege is a decent bet. If you enjoyed this feature on the best multiplayer PS4 games, why not check out some of our other ‘best of’ features, such as the best FPS games, best PS4 exclusives, best PS4 indie games, best PS4 fighting games and best PS4 PSVR games that money can buy.